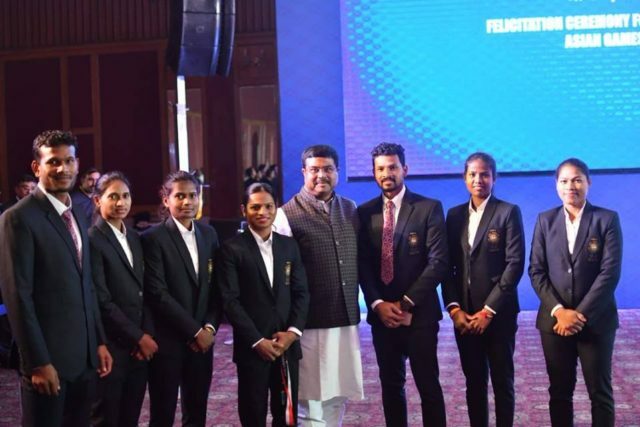 New Delhi: Union Minister Dharmendra Pradhan interacted with Asian Games 2018 Medal winners from Odisha. 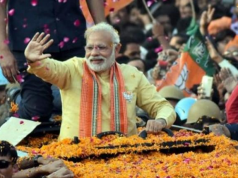 Minister Pradhan Congratulated them on their awe-inspiring success at the #AsianGames2018. 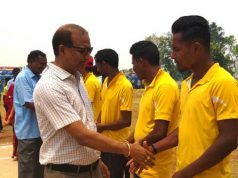 Minister Pradhan said all these players are role models for many young & budding sports stars and their success will encourage more youths in Odisha & the country to pursue sports. Union Minister Dharmendra Pradhan interacted with players during the felicitation ceremony of #AsianGames2018 medalists organized by Department of Sports, MYAS, Government of India & Sports Authority of India MYAS GOI along with Sh Rajnath Singh ,Sh Rajyavardhan Rathore, Sh R. K. Singh & Sh Kiren Rijiju. Congratulated the players for their performances & the glory they have brought to the nation.